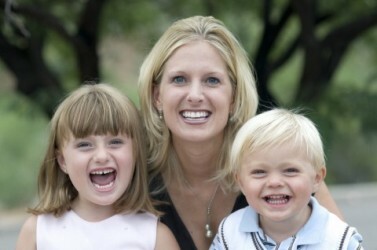 Dr. Kirkland, a Texan Native, received his Bachelor of Arts degree from Baylor University in 1996. Upon Graduating he continued his education at Baylor College of Dentistry where he received his Doctor of Dental Surgery degree in 2000. He married his wife Stephanie in 2000 and their love for the mountains of Tucson brought them here to start his practice and family. In 2001 he opened his practice, Riverside Dental. It is in a perfect centralized location in Tucson with the mountains in view. The office is designed with the patient in mind and we want them to experience the most relaxed dental care possible. At Riverside Dental we have created an office environment with special detail to decor. The hiring and training of our staff, and operating methods are dedicated with the patient in mind. He currently has two children. A daughter “Faith” and a son “Christian” of which he spends a lot of his spare time entertaining. 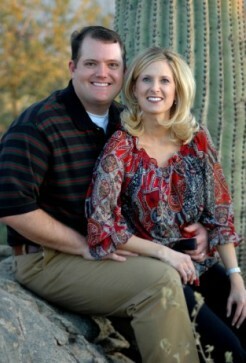 He is a member at Casas Adobes Baptist Church and currently resides in Oro Valley. Dr. Kirkland is very involved with organizations such as the American Dental Association, Southern Arizona Dental Association, and the Pima Dental Study Club. Continuing Education is very important to Dr. Kirkland and he attends lectures and events every year to provide his patients with the most modern techniques and materials available. Dr. Kirkland is very outgoing and loves spending time talking with new patients. He loves his practice and treats each patient as if he/she was his only one. Dr. Kirkland’s love for dentistry is revealed as he discusses your treatment options or new techniques available. If you are not smiling when you come in, he will make sure you are when you leave. Dr. Kirkland believes that the key to having a successful practice is by having a great staff, being honest and upfront with patients, and providing the best treatment possible using the most modern techniques and equipment available. We would love for you to call and give us a chance to show you the office and meet Dr. Kirkland and staff. We feel like once you do, Riverside Dental will be your new home! Excellence in dentistry begins with a careful co-diagnosis and treatment plan to establish the goals we will achieve together. Communication and long-term relationships are important to us. Let us know what is on your mind and ask questions. We will help you realize an investment in yourself pays dividends for a lifetime. We are caring, skilled professionals, dedicated to simplifying what is often a very complicated and confusing area of health care. We want all our patients to be informed and knowledgeable about their dental health care, from treatment plans and services, to insurance coverage.